Chairman’s report from the AGM. Mike Smith to retire from the Chair. Tributes are paid to his efforts. The Annual Club Dinner was held at the Lawns. 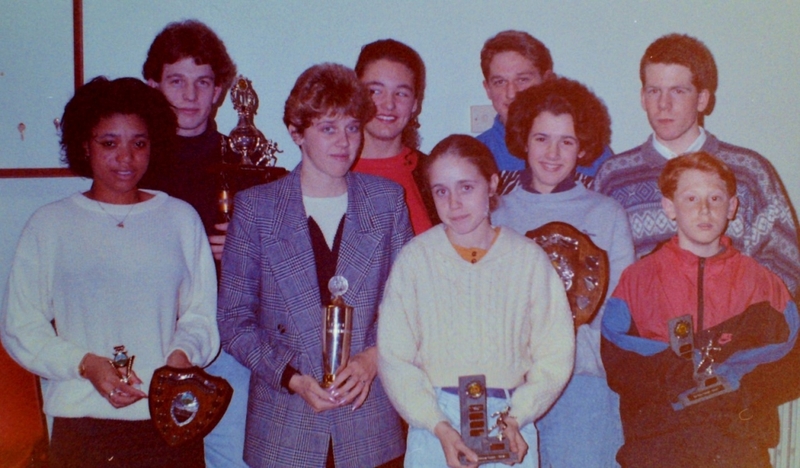 The Gwent Cross-Country League results look good. A 2nd May Day track and field meeting is planned for 7th May. Summer fixture list. The Womens Midland track and field League team gain promotion. Matt Spicer wins a gold medal in Hammer at English Schools. Lynn Denney wins a bronze in Shot Putt at English Schools. 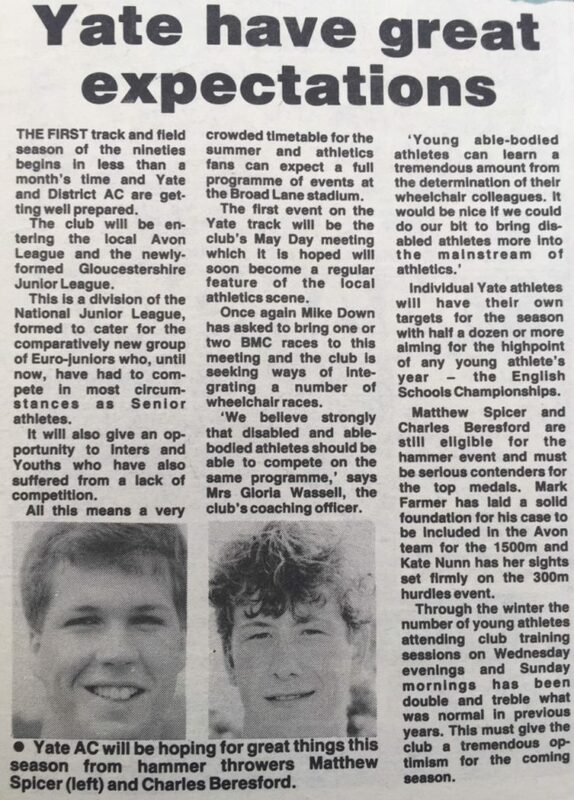 2 out of 3 Avon medal winners at English Schools were Yate athletes. Hannah Curnock runs fastest 800m (2.20.9) for a Minor Girl in Britain. 10 Yate athletes were selected to represent Avon County at English Schools. Laurentian Life to sponsor the 3rd Hilly Half Marathon on 2nd December. Winter fixture list.